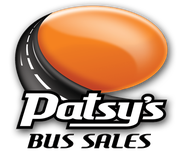 Contact Patsy's Auto Body for all your Parts and Service Needs! Patsy's Auto Body has the state of the art technology to tackle most any job, large or small. Our professional and courteous staff will assist you in making the right choice for your repairs. Call us at 603.226.4600 to inquire about your service needs. Below is a list of our most common repairs and service. Can straighten any medium or heavy-duty vehicle! We can provide you with new and replacement parts for a wide variety of makes and models. Contact our parts department at parts@patsyco.com or call us at 603.226.4600 so we can assist you.